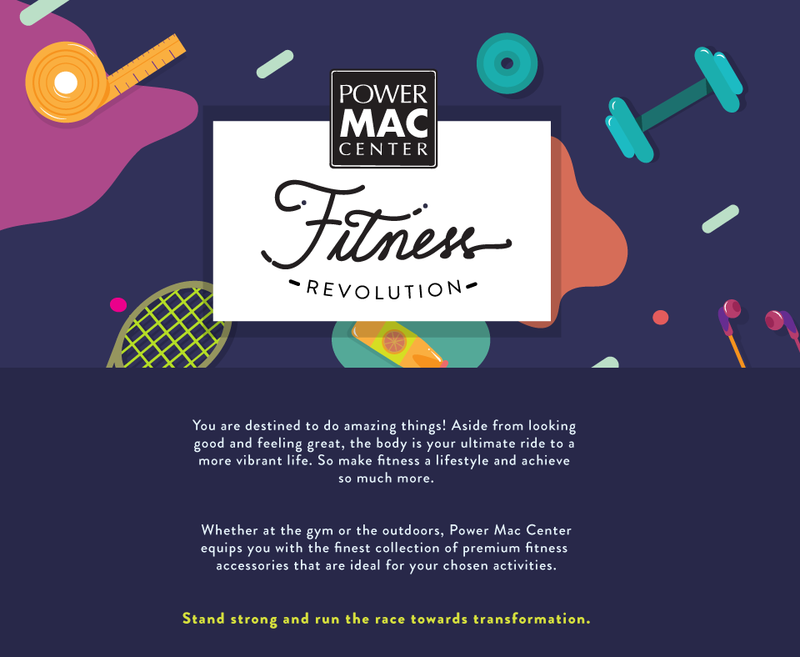 Power Mac Center, the premier Apple partner in the Philippines, has launched a new campaign aimed at inspiring individuals to embrace an active lifestyle and achieve their fitness goals this 2015. Fitness Revolution focuses on helping people take on the challenge of lifestyle transformation and improving their health and wellness by providing them with a comprehensive selection of premium fitness accessories that complement their fitness journey, such as sports earphones that are sweat and water-resistant, arm bands, necklaces and other wearable technology that help you monitor your health and track your fitness progress. “Being physically active can be fun and easy given the right gadgets and tools. As such, Power Mac Center presents Fitness Revolution which underscores the benefits of an active lifestyle. More importantly, the campaign ultimately motivates individuals to be healthy and fit,” said Power Mac Center Marketing Director Joey Alvarez. Throughout the nationwide campaign, Power Mac Center customers can take advantage of a wide selection of great deals on fitness essentials as well as participate in a variety of in-store and online activities. Beyond the considerable benefits of transforming their lifestyle, customers also get lucky as Power Mac Center’s Fitness Revolution campaign includes Chinese New Year offerings. Every purchase of participating products entitles customers to surprise freebies and discount coupons for use in their next purchase. “Stand strong and run the race towards transformation by taking part in the Power Mac Center Fitness Revolution,” said Mr. Alvarez. For more information, log on to www.powermaccenter.com or visit the Power Mac Center store near you.